oneworld member Air Berlin (AB) is restructuring its US operation for summer 2013. 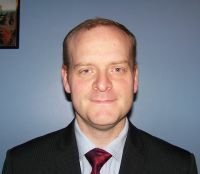 The airline’s North American operations are run by Titus Johnson, formerly based in London. Dropped are flights from Dusseldorf to Las Vegas, San Francisco and Vancouver. 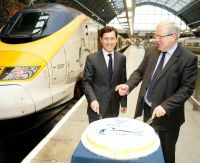 The Secretary of State for Transport, Patrick McLoughlin MP, joined Eurostar Chief Executive, Nicolas Petrovic, on the Eurostar platforms at London’s St Pancras Station on Wednesday 14 November, to cut a special birthday cake for a whole series of celebrations. 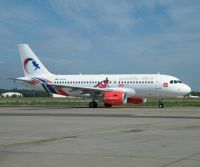 The new national carrier for The Gambia, Gambia Bird Airlines has introduced a twice weekly Gatwick service. A Wednesday service goes directly to Banjul, the capital, whilst a Saturday operation routes via Freetown, capital of Sierra Leone. The airline currently operates scheduled flights from Banjul to Accra, Barcelona Conakry (Guinea), Dakar and Monrovia, plus Freetown and London. KLM has confirmed a new Manston – Amsterdam operation as previewed by Business Travel News (see BTN 8 October). Commencing 2 April 2013 the twice-daily flights will connect Manston to KLM’s hub offering convenient connections to a worldwide network of over 130 destinations from the South East of England. Work on an extension to the passenger terminal at Southend Airport has got under way. Kier has been appointed as the key contractor for the work with a new arrivals facility scheduled to be ready at the end of May 2013. By Christmas 2013 the work should be complete taking the airport capacity up towards a 2020 target of two million passengers. KLM is the latest airline to take a serious interest in the WheelTug electric drive system for aircraft ground manoeuvring. A contract has been signed for future installations subject to certification and execution of a definitive agreement. Alitalia, El Al, Jet Airways and Onur Air are amongst other carriers committed to Wheeltug. The Chancellor of the Exchequer, George Osborne MP, will make his Autumn Statement in Parliament on Wednesday 5 December at 12:30. In very simple terms he will lay out his taxation policy for next year trying to weigh his monetary requirements against what he can grab from society. It is a balancing act. In terms of air travel it is clear that the current Air Passenger Duty (APD) rates are having a very negative effect. Some well researched financial cases have been made by respected authorities. What they all say is that if he reduces APD, or makes it fairer, the financial contribution will be more. But is he up to taking the gamble? Do not get bored with the subject. Readers should expect enormous lobbying over the next few weeks from business, tourism and the aviation sector. Word might just get through. Enough shouting might just produce something. There are two very serious points about APD which really need to be questioned. First - if it is to be applied it should be on the airport-to-airport distance and not on the capital of the country mileage from London. In fact it was initially an environmental tax which makes the Treasury case sound even dafter. As it is, APD is greater to Barbados (and most of the Caribbean) than Hawaii, far away in the Pacific. However Russia is split East and West of the Urals for APD purposes. Why favour the United States? In fact our second point is related. If it is a capital to capital tax surely UK domestic traffic should be zero rated, London to London. Has someone the courage to challenge the Treasury. HMRC Notice 550 (April 2012) is very convoluted. At the current time the regions, and London, are being penalised. With the choice of Edinburgh or Paris for a weekend do you pay £24 tax each (rising to £26 from 1 April) or £12 per person? The same applies going to sunny Newquay from Manchester compared with some near continental point. Cornwall needs support. France can look after itself. Or – if connecting – why fly via Heathrow if it is cheaper tax-wise via Frankfurt (or with KLM via one of 17 UK airports to Amsterdam – see Kent below)? In Scotland, Highland and Island departures pay no outbound tax. The airports are subsidised. Is that fair? Northern Ireland long haul the same. Domestic air travel is down by 20% according to reports. What happens if Scotland gets devolution and does not apply an outbound tax? Do the good citizens of Carlisle (and Newcastle) rush north for their flights? The Chancellor wants to boost the economy. One easy way is to scrap domestic APD and either reduce the international tariffs or at the very least keep them at the current level. The evidence is there before him. Let us not get bored. We need to keep the pressure up over the next couple of weeks. It might just work! 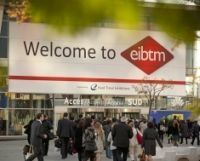 With EIBTM, Barcelona, now only two weeks away the Association of Corporate Travel Executives (ACTE) has announced a programme of four education sessions to extend the show profile beyond the meetings and events industry to incorporate the world of business travel. An alternative carrier to the Maldives from Dubai has been announced by the fast expanding low-cost Gulf area carrier flydubai. Currently the route is served by a twice daily Emirates three-class Boeing 777 service with a flight time of four hours plus. With flydubai, flights will initially be by 189-seat Boeing 737-800 five times per week with a slightly longer flight time. A very powerful group of speakers has been lined up for a two-day conference at London Millennium Mayfair Hotel 3-4 December, the Future of Air Transport. 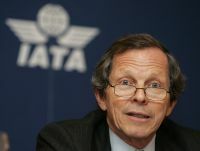 Introducing the conference will be the former Director General and Chief Executive Officer of IATA, Giovanni Bisignani. Amongst other topics he will discuss the European Emissions trading scheme. 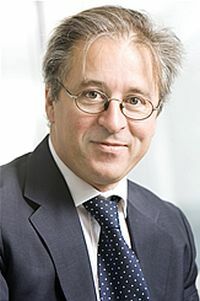 Also due to speak is James Hogan, Chief Executive Officer, Etihad; Wang YingMing, Chairman and President, Hainan Airlines; John Slosar, Chief Executive Officer, Cathay Pacific; Steve Ridgeway, who holds a similar position at Virgin Atlantic and Dr Temel Kotil, Chief Executive Officer, Turkish Airlines. 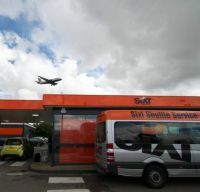 Sixt, the German family-run hire car provider, has announced the re-opening of its Heathrow Airport branch following a major upgrade. Situated next door to a petrol station, ideal for topping up your car on its return, the operation is just off the A30 near T4. A frequent complimentary bus service is provided to all terminals. Rezidor Hotel Group has announced two new Radisson Blu hotels in Germany. 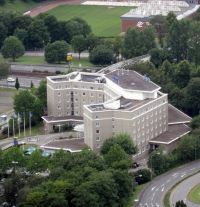 The Radisson Blu Hotel Dortmund will be re-branded in January 2013; the Radisson Blu Hotel Bremen will follow in June 2013. The hotels will be softly renovated over a period of 18 months. Both were previously Hiltons. The protracted takeover of Aer Lingus by the majority shareholder Ryanair continues, with the airline run by Michael O’Leary seemingly confident that it will eventually gain control of what is still the state airline of Ireland. Ryanair has confirmed that discussions continue with the European Commission regarding a radical package of remedies by the airline designed to address the Commission’s competition concerns. 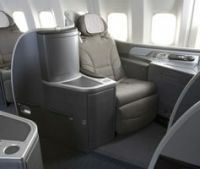 United Airlines has launched a new turn-down service for customers seated in United Global First, offering travellers an added touch of luxury and a better sleeping experience on long haul flights. 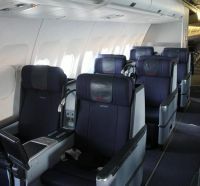 Business Travel News tries for the most part to steer clear of awards and award ceremonies. 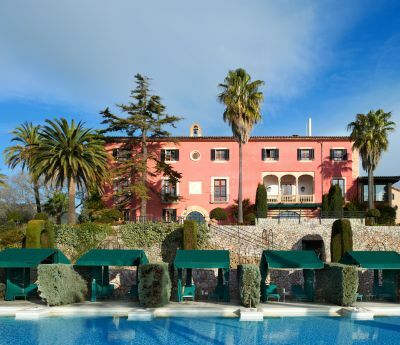 We like to make our own observations and comments but when the opportunity came around for regular contributor Jan Edwards to visit the property awarded ‘Most Excellent Hotel in Europe and the Mediterranean’ in the Condé Nast Johansens 2013 Awards for Excellence, it was not for turning down. Well done Air New Zealand. A really fine safety video. And our thanks to a former Chairman of the Guild of Travel Writers who pointed it out. Qatar Airways has finally celebrated the arrival of the airline's first Boeing 787 Dreamliner, one of 30 on firm order, after one of the longest aircraft gestations in airline history, the initial commitment made in November 2007. It had already signed up for Airbus A350. However the lead A350 is unlikely to arrive before late 2014 but nobody is putting any bets on the schedule. The European Union has backed down on its proposed rule that all airlines must pay for their emissions on flights to and from Europe after threats from non-EU international airlines that they would not pay. 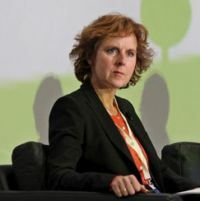 However Climate Commissioner Connie Hedegaard said it would resume enforcement if ICAO, the UN specialised agency for air transport, fails to deliver a global deal. The small regional Kenyan airline Jetlink has been grounded due, it says, to a shortage of dollars in one of its main markets, South Sudan, leaving it starved of cash. 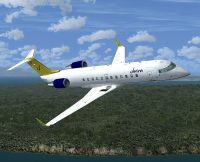 Founded in 2004, Jetlink operates out of Nairobi’s main airport, Jomo Kenyatta International, with a fleet of eight Bombardier CRJ aircraft. A unique aeroplane has made an appearance at East Midlands Airport. An Airbus A380 development aircraft has flown into the airport, the nearest to the Derby home of Rolls-Royce whose engines not only powered the first A380 to take to the sky, but the forthcoming A350XWB too. In the case of the new Toulouse-designed wide-bodied twin it supplies the only engine currently specified. South East Asian carrier Royal Brunei Airlines (RB) is rebranding. The new livery and logo has been revealed on an Airbus A320, which was painted by RB’s own in-house engineering team. Scandinavian airline SAS has unveiled a raft of job cuts and radical changes in a new survival plan. 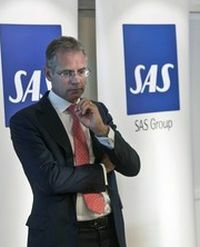 Rickard Gustafson, President and Chief Executive of SAS, said: ‘This truly is our “final call” if there is to be an SAS in the future. 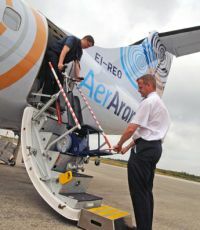 Aer Arann, operating as Aer Lingus Regional, is to suspend its services at Waterford Airport in south west Ireland with effect from 6 January 2013. The routes affected will be Aer Lingus Regional services from Waterford Airport to Luton, Manchester and Southend. The airline will continue to operate as normal from Waterford up to 6 January 2013. Passengers with bookings for flights after 6 January 2013 will be contacted directly by the airline in the coming days.